Textured Wenge with Concealed Handles. A dark tropical door with stainless steel kicker boards. 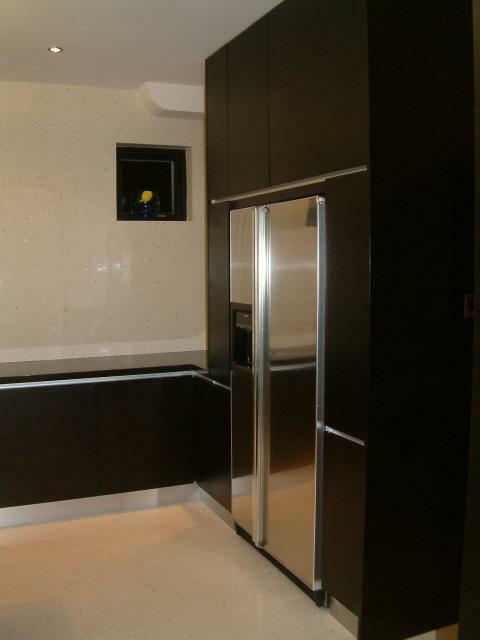 This kitchen has floor to ceiling height cupboards.